Tasnim – Spokesperson for the Atomic Energy Organization of Iran (AEOI) said Tehran and Moscow are working in close cooperation in various fields of the nuclear industry. 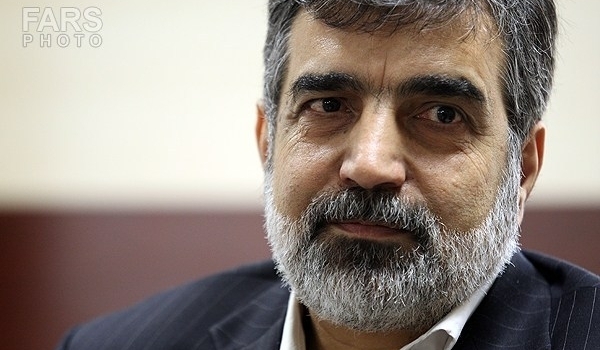 Hailing Moscow’s support for Tehran’s legitimate stances in the course of nuclear talks that resulted in the 2015 Iran nuclear deal, Kamalvandi said Russia has assisted Iran in the construction of a 1,000-megawatt nuclear power plant which is now operating. The AEOI spokesman said that Iran’s cooperation with Russia includes the construction of two other power plants, as well as projects on stable isotopes and nuclear fuel. He also noted that senior Iranian and Russian officials have launched talks on making small and medium nuclear power plants. In July, Iran’s special envoy Ali Akbar Velayati paid a visit to Moscow for a meeting with Russian President Vladimir Putin. Following the talks, Velayati said Putin was personally updated on details of construction of the two new reactors Russia is building in Iran. The two new reactors, a 100-MW and a 35-MW one, are being built along Iran’s southern coasts and will be employed to generate electricity and desalinate water, he had announced. According to Velayati, Russia has agreed to transfer the technology of construction of small reactors for the southern coasts of Iran.